Are you considering the right factors while deciding on the best emergency notification system? 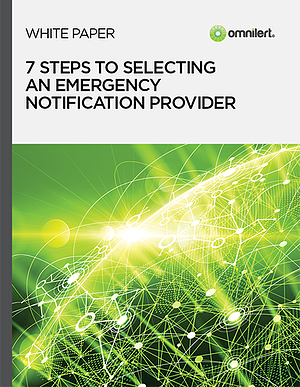 Selecting an emergency notification provider is no light task due to the importance of the responsibility and that not all emergency notification systems (ENS) are created equally. It’s important to consider many factors when choosing a provider and make sure that your emergency service is right for you. Download this checklist of seven key factors to help you select the right crisis communications provider and ensure the success of your crisis communications initiative.